I mentioned that XML & JSON are for lists of lists, while CSVs are for tables. Let’s explore that concept. We’ll have a lot of examples in this series. I recommend that you edit them and play with seeing them in a “pretty” format! XML, JSON – paste & click “Tree View”. 🔑 The “table” has a specific number of columns (“keys”) that are the same for every row (“item”) in the table. That is, every row has the exact same columns (“keys”) as every other row. 😶 Not only is every row-column intersection capable of storing a value … but if there isn’t a value, a blank placeholder still needs to be indicated. ☝️ There can only be one value for a row-column intersection. That is, if you only have one “First Name” column, no row can have two first names. Different “items” in the list have “details” completely unrelated to the details of other items in the list. You “nest” lists inside each other. You will want to write down a few facts about each friend that help you remember what they like. The “facts” that influence your birthday presents for each friend will be different, because every friend’s life is different. Uwe and Hani have kids, but Dan and Ridhi don’t. Uwe and Ridhi collect things, but Dan and Hani don’t. Dan’s a foodie. Hani is busy with her job and aging parents and kid and doesn’t want things; she wants free time. But … if you’re busy, you might be able to get away with a coffee mug with a cute slogan about nurses on it. Although you have some overlap, it’s very normal for everyone on your list to have different characteristics from everyone else. Look below at how much space it would take to store your “friends list” as a table and how many cells end up blank. It just doesn’t make sense to store your friends list as a table! So why should you write it that way in a computer? e.g. "000001", "01/01/2010", "Apple", "Office Supplies", "$60,000.00"
The “values” are the data in the individual cells at the intersections of rows and columns. It’s easy to show, but hard to define, what the “items” are. For now, let’s say that they’re “clumps” representing real-world things or ideas. We’ll wait to talk about what punctuation we use to indicate “keys” until we take a deeper dive into XML & JSON. We’ll wait to talk about what punctuation we use to indicate “values” until we take a deeper dive into XML & JSON. We have to make choices about exactly how to structure our data when writing XML or JSON (just like I had to decide, in my example “gift list,” whether to put the kids’ ages next to their names in parentheses or make the ages sub-bullets). But here’s one way I might represent this “gift list” in XML, and in JSON. Note that the line breaks and indentations are for human convenience only. A computer would be fine with everything all smooshed together in one line, in both XML and JSON. Paste both examples of the XML into this beautifier and click “Tree View”. Do the same with both examples of the JSON in this beautifier. They should produce the same “tree” as their “human-friendly” counterparts. Remember, although “list-of-lists” data doesn’t translate well to tables, table data translates perfectly respectably to XML or JSON. Can you see how repetitive the XML and JSON are? That’s always a strong hint that data could be easily translated back into a CSV or Excel table. XML, JSON, and CSV are all standardized ways of typing data in plain text to give it structure and meaning. 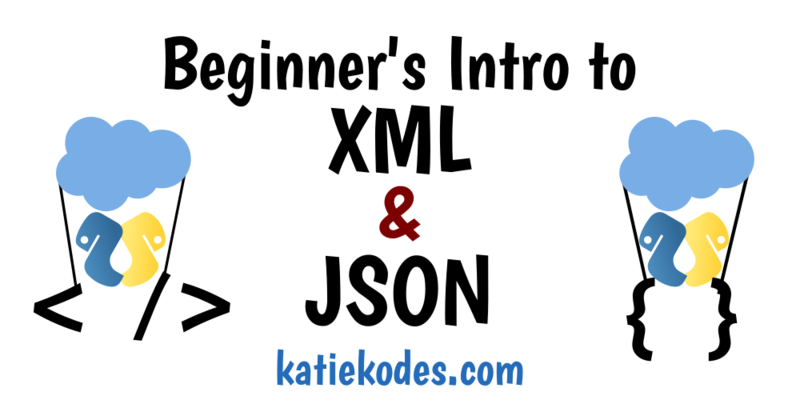 XML and JSON are meant to represent the same kind of data as each other. Their punctuation differences result in subtle strengths and weaknesses, but they’re more alike than different. Ideally, you would use CSV to represent “extremely similar” “table-shaped” data, like the “bookkeeper’s ledger” example above. Ideally, you would use XML or JSON to represent a “list of lists” and/or “extremely varied” data, like the “birthday tracker” example above. If you learn to distinguish the two shapes of data, you are well on your way to using tools that translate between CSV/Excel and XML/JSON.